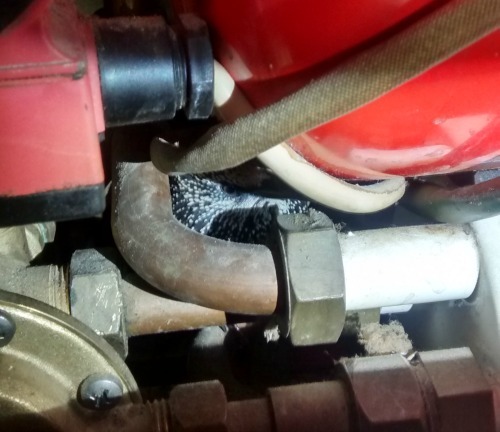 The RSPCA were called out to rescue a starling which had become stuck behind a boiler on Friday (14 November). The bird had somehow managed to get down the flue and behind the boiler in a bungalow on Westbury Court, Hedge End. The first the homeowners knew of the starling was when they saw insulation material on their table and floor. They took the front cover off the boiler unit saw the bird and contacted the RSPCA. When Inspector Tina Ward arrived she realised that the bird was perching on a pipe trapped between the pump wires and boiler. She had to coax the starling to the wider side so that it could fly out of the space and used her finger to encourage him to the larger space. Once there, the bird quickly realised that he could just hop onto another pipe and fly to freedom. “The rescue really didn’t take very long and it was just a case of helping the starling into a space that he could escape from himself. The RSPCA is a charity and relies on public donations to exist. To help them with rescues like this one please text HELP to 78866 to donate £3 (texts cost £3 plus one standard network rate message). Enter your email address to subscribe to Eastleigh News and receive the latest articles by email. Copyright © 2019 Eastleigh News. All Rights Reserved.